It is obvious that President Goodluck Jonathan is a silent performer who gets the job done without making too much noise. No matter what his opponents are telling you, there are incontrovertible FACTS to show that things have CHANGED FOR THE BETTER in the critical sectors of our country from Road to Rail Infrastructure, Agriculture to Health, Trade & Investment to Aviation, Education to Youth Empowerment, etc. Anybody who tells you that Jonathan has not done anything, tell the person that he is a liar. He has done a lot of good works, especially in the last 4 years, and he is determined to do even much more. 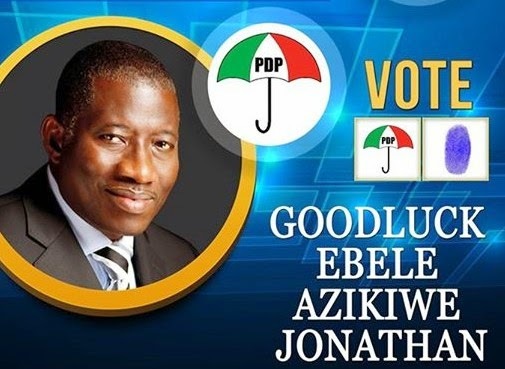 If you cast your vote for Jonathan (as the PDP presidential candidate) on February 14, he wont need to spend about two years studying what is on ground; he has already mastered the systems and no civil servant can deceive him. Don't waste your vote on someone who will come in and start learning what is on ground, vote for Jonathan so that all the good works we will show you can continue. 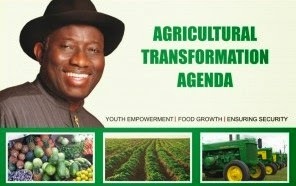 This and other achievements by President Jonathan which has led to the availability of foods for Nigerians to eat will be covered extensively in the next Post where we shall focus on Agriculture, but we want you to have it in mind that there is no longer food scarcity in Nigeria and more jobs have been created in this all-important sector due to the intervention of President Jonathan of PDP. It is only a blind man that will deny what President Jonathan of PDP has achieved in this critical sector. All the way; Lagos-Kano, Port Harcourt-Enugu, Port Harcourt-Maiduguri, Abuja-Kaduna and Itakpe-Ajaokuta-Warri, all these Rail Lines that had been moribond for 15 years have either undergone rehabilitation or modernisation. More routes are undergoing rehabilitation at a fast pace. 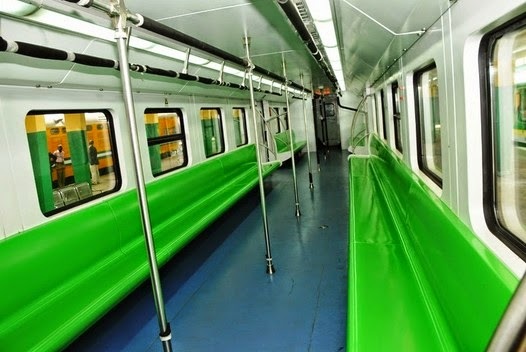 In fact, Rehabilitation of the Lagos-Ibadan-Oshogbo-Ilorin-Minna-Kaduna-Zaria-Kano narrow Gauge Rail Line has been COMPLETED. Also, container cargo freight services from Apapa Port complex in Lagos have commenced. Five million passengers now move by Rail yearly in Nigeria compared to just One million before Jonathan came in and intervened. For the first time since 1970, President Jonathan of PDP has ensured that Nigeria's Ports operate all day long, non-stop, to ensure that goods are cleared in record time for the benefit of Nigerians. As a result, clearing time for trouble-free cargo has drastically REDUCED from 39 days to just 7 days. 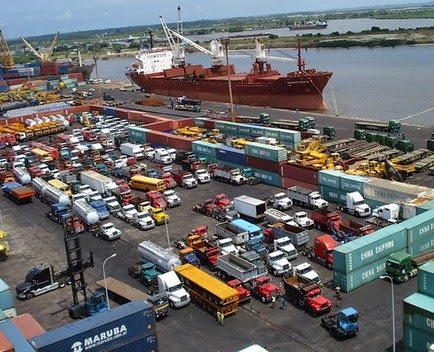 Also, the number of government agencies at the Ports has been cut down from 13 to just 7, an action that has streamlined bottlenecks and reduced financial requirements for clearance and decongestion. This is the very first time in the history of this country that Nigeria has developed its Aviation Master Plan and Road Map, courtesy of the Transformation Agenda of President Jonathan of PDP. 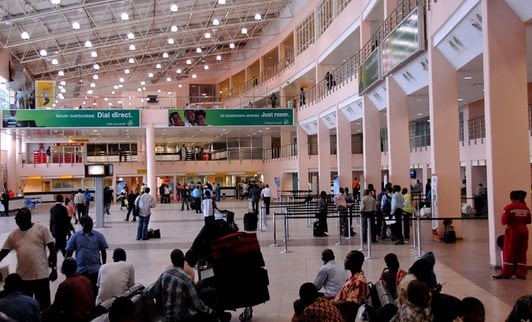 For the first time also, Five modern international passenger terminals are being constructed simultaneously in Lagos, Abuja, Port Harcourt, Kano and Enugu. All the 22 federally-owned airports across the country are being remodeled, resulting in improved passenger experience and you may wish to know that there has been a robust revision of the Civil Aviation National Policy for the first time in over 12 years. The Jonathan government has installed cutting-edge Navigation aids and Instruments Landing System (ILS), including runway lights and total radar coverage (TRACON) to enhance air safety. State-of-the-art communications and surveillance infrastructure and surveillance infrastructure to aid smooth communication between Air Traffic Controllers and Pilots have also been installed. Jonathan has ensured that Nigeria now has a fully equipped Accident Investigation and Analysis Laboratory. This is the only one of such facility in West Africa and one of the only four in Africa. Security infrastructure are being upgraded at a fast pace to cope with emerging security challenges. Courtesy of President Jonathan of the PDP, Six Airports - Lagos, Jos, Yola, Ilorin, Makurdi, Jalingo - which are strategically located in proximity to food baskets have been designated as Perishable Cargo Airports and international standards perishable cargo facilities are being developed at these airports. * These and many more facts that we will bring to you in subsequent posts are the Silent but Remarkable and Commendable achievements of President Jonathan in Infrastructure and other sectors. ** We will also bring you FACTS on Road, Power, Education, Health, ICT, Creation of Jobs, etc.